This classic svalbard wool Jacket with a retro look will keep you warm and comfortable. It is inspired by Norrona's classic expedition products from the 70’s and is a great choice for those who are looking for a timeless all-year mid-layer. 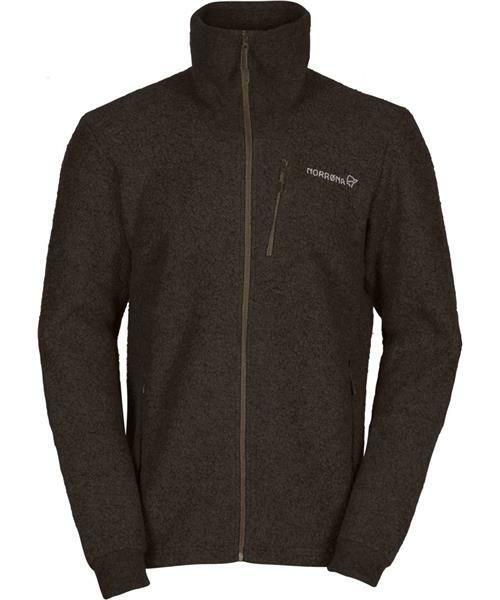 The fabric is a perfect wool blend with 65% wool and 35% synthetical material; the wool fibers provide great temperature regulation while the polyester offers quick-dry functionality and durability. The jacket has a regular fit and has a high collar, cuffs and hand warming pockets.